Robin Hill - UK Concert - Don't Miss it! With only a couple of weeks to go it is time for a reminder. Robin will be performing at Rhodes Arts Complex , Bishop's Stortford, on Saturday 26th September. More information and ticket details can be found here. It is one of only two concerts in the UK for the remainder of this year, as the rest of Robin's work will be performed abroad. So, if you have an interest in the guitar, and music in general, then Rhodes Arts Complex is the place to be. 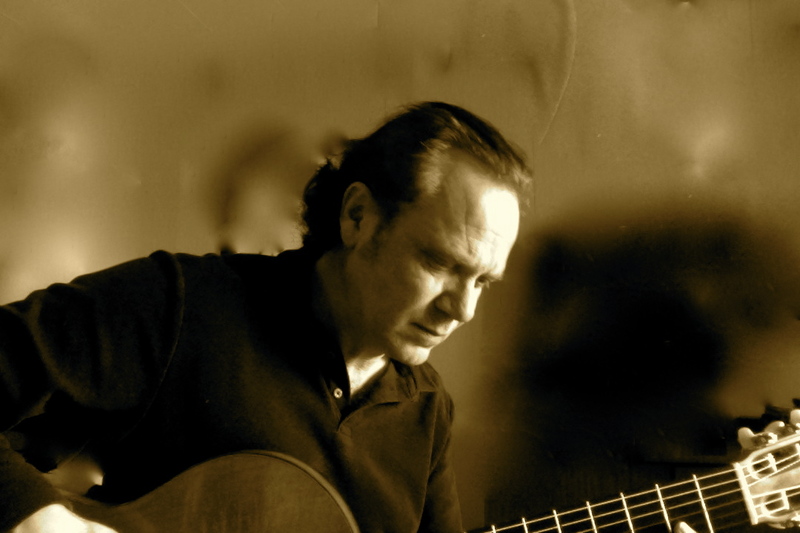 As James Burton of the Herts and Essex Observer recently said, "...Next up is a trio of concerts by some top musicians...Rounding off the hat-trick is classical guitar virtuoso Robin Hill.... his recital will be a tour through the ages, including tunes from Renaissance composers through to the present." You can read the full report here, 'Autumn delights at Rhodes'. Sadly I won't be able to attend. Robin is flying straight there from a private function in Ibiza with soprano Izzy Cooper. But we are all in for a busy weekend. Robin will be setting off home bright and early the next day as an eager youngest son will be awaiting his return. It will be his 7th birthday! It has been very nice to have Robin home for a few weeks but he has not been idle. He has been working hard on an alternative show which he has been asked to organise, featuring himself, plus an extensive band. The pieces are varied, ranging from original compositions to arrangements of standards, which have all been given the 'Hill' treatment. There's everything from latin/jazz to swing and even some rock. One piece, an original composition, is called Brasilia. This is in a bossa nova style featuring guitar, bass, flute, clarinet, alto & tenor sax, trumpet, trombone, Latin American percussion and even a cuica. All resulting in a rather fabulous latin/jazz feel. 'Dolor de Muelas', which has recently been nominated for an award, is a piece in a samba style which has also been given the 'Big Band' treatment. Arrangements have also been done for a number of well known pieces such as 'Can't Buy Me Love', 'Bach Prelude', 'Fragile', 'Here Comes the Sun', 'This Masquerade' 'Classical Gas' and many more, all naturally heavily featuring the guitar. Amongst this musical extravaganza will also be a few pieces from Robin's solo guitar repertoire. The whole show will be taken for a test drive before too long, and we will be searching for various musicians at some point. You can read more about Force Ten here. Paul Griffin is responsible for hitting the very high notes on the trumpet. Based in New York, Paul was the product of a very musical background. His father Chris was one third of Benny Goodman's 'Biting Brass' trumpet section, and Paul himself played at John F. Kennedy's funeral.